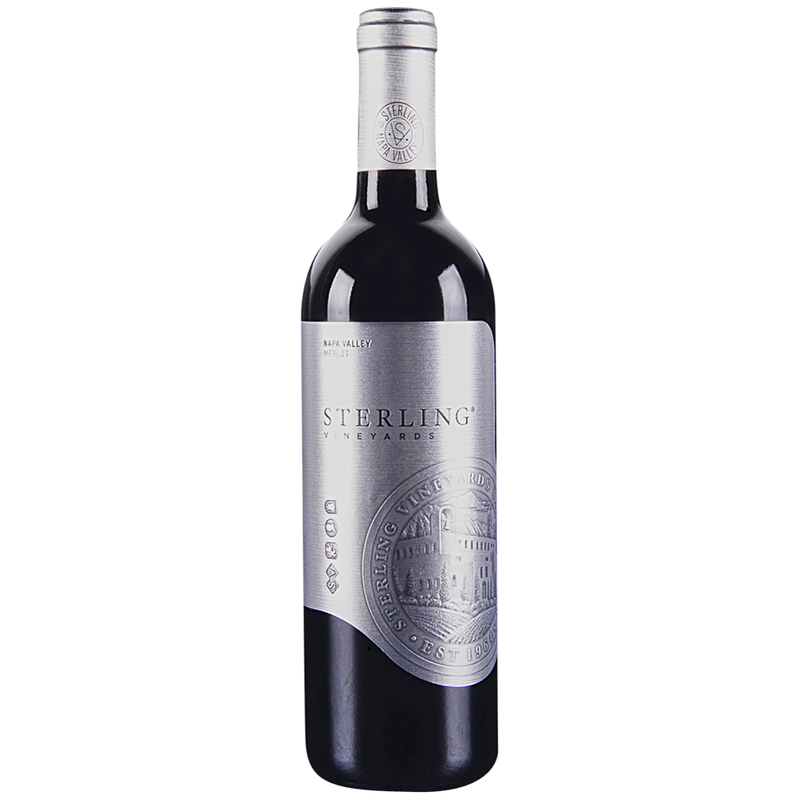 The Sterling Vineyards Napa Valley Merlot is a vivid ruby-red color in the glass with aromas of blackberry fruit, plum and ripe black cherry. The appealing bouquet leads to a mouthcoating, rich palate where additional red and black fruit flavors mingle with notes of graphite and dried spice. The viscous mouthfeel of the wine is plush and the ripe tannins are refined and polished. The Napa Valley Merlot is well-balanced and elegant, offering true varietal characteristics and a sleek, flavorful finish.